The devil’s food cake, or simply devil’s cake, is a traditional cake of American origin, prepared with several layers of soft cocoa biscuit and stuffed and covered with a delicious ganache, mostly dark chocolate. Devil is a term often used in recipes. Indeed, the French expression “a la diable” designates recipes with spicy hot sauce. In English, the term “deviled” dating back several centuries, refers to very rich or very spicy foods. In the case of spicy foods, the Devil is associated with the heat of hell, while rich foods are considered very tempting and decadent, like the Devil himself. Our decadence today is none other than chocolate! What is the origin of devil’s food cake? This cake probably goes way back and originated from the southern states where it was made ​​from beets and cocoa. 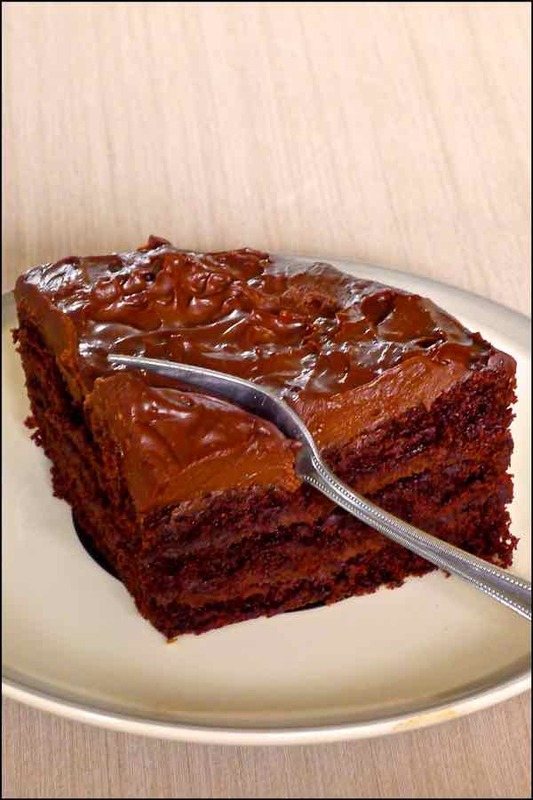 Devil’s food cake was a favorite dessert in the early 1900s. 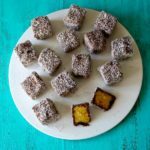 In 1902, the recipe appeared in a book called Mrs Rorer New Cook Book by Sarah Tyson Rorer. In 1913, recipes began to appear in cookbooks throughout America. 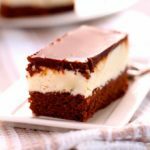 The original version was different from the one we know today and, in many ways, closer to the red velvet cake, which would be the big brother of the devil’s food cake, as it was born shortly before it. Both are recipes from the Victorian period. Considered as a refined cake, it is called “velvet” to emphasize on its softness. The red velvet cake is composed of layers of red cake (mostly by the use of red dye), filled with white vanilla cream. In the layers of this velvet cake, a small amount of dark chocolate is used. 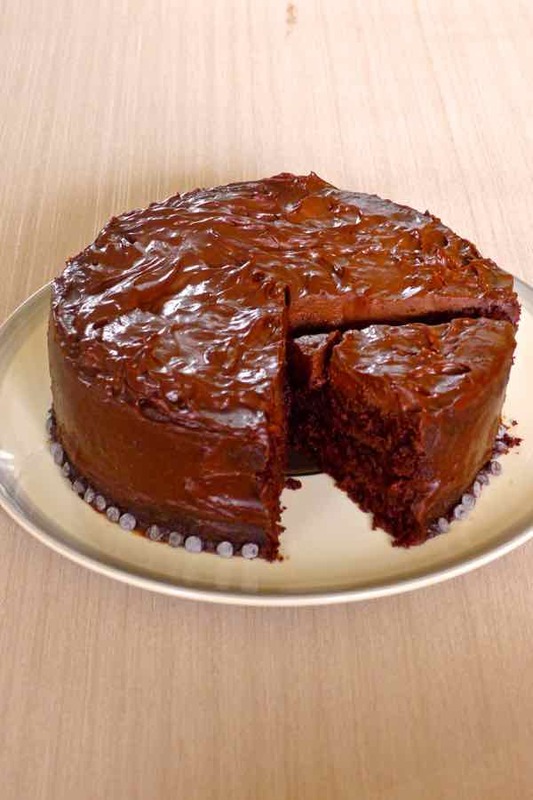 While in the sixties, dyes were almost removed because they were considered carcinogenic, the cake took the mahogany color that distinguishes it, thanks to the reaction of baking soda mixed with cocoa. During the food rationing period of World War II, pastry chefs used boiled beet juice to reinforce the red color of red velvet cake. You will also find the use of beet in many desserts since it helps to maintain a soft side. 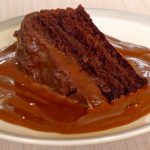 The devil’s food cake recipe includes layers of cocoa filled cake with a rich, full-bodied chocolate ganache. 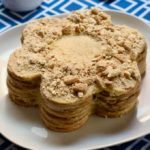 What characterizes this recipe is a massive use of chocolate, about three times more than that usually used in cakes. Ganache is one of the basic preparations that is the most used in pastry. It is mainly used as icing or as a garnish for cakes and pies. In its simplest form, ganache is a mixture of cream, or sometimes milk or butter, or even a mixture of the three, and chocolate, usually in equal amounts. It is obtained by pouring the boiled liquid on the chocolate while stirring gently. While cooling, the mass takes a thick texture, even solid. The recipe varies according to the use: the more chocolate will be used in comparison to the cream, the more solid the ganache will be. In the solid state, the ganache is used to stuff cakes, make small chocolate truffles, or decorate pastries. 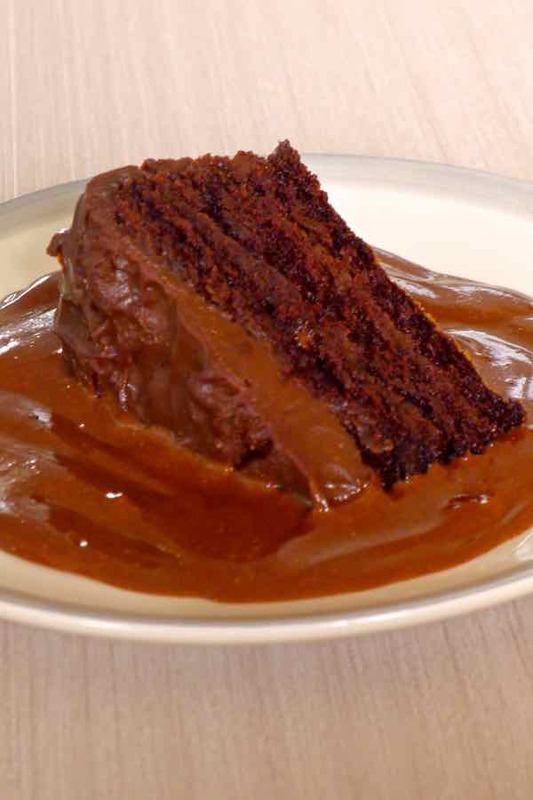 In the liquid state, the ganache can be used as icing, as a filling for a chocolate pie, or as a sauce, for a chocolate fondue for example. The cold ganache can also be whisked to obtain the consistency of a mousse. This type of ganache mousse is also ideal for cakes and other stuffed desserts. Although the classic ganache is made with dark chocolate, it can also be made with other types of chocolate, such as white chocolate or milk chocolate. Etymologically speaking, ganache means an incapable person, or a person without intelligence, a fool, an imbecile. So, what does good chocolate have to do with this term? To understand, one must go back to the origins of the ganache. What is the origin of ganache? According to the popular culinary tradition, the ganache was created in the kitchen of the famous French chef Georges Auguste Escoffier (1846-1935) in 1920. One day, one of his trainees accidentally poured hot milk into a bowl filled with chocolate chips rather than a bowl of sweetened eggs, as he was asked. At that moment, Escoffier shouted to his apprentice “ganache!” (fool). The result obtained by the apprentice’s mistake was a brilliant and delicious cream, which was a resounding success. Nowadays, the ganache is used throughout the world and especially in the French cuisine and it should be remembered that it is often, with the buttercream, one of the essential ingredients of the typical French Christmas yule log cake called buche, as well as the filling of macarons, and profiteroles. 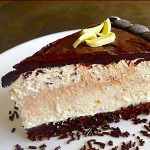 In the world of popular American cakes, besides Devil’s food cake, you will also find Angel’s food cake: two cakes opposing the Devil and an angel! The first is chocolate-based and the second is vanilla, or at least without chocolate, white as a angel. I am quite tempted by this cake as well and it will surely be a featured recipe for our next American virtual trip. Devil’s food cake is a sweet dark and demonic sensation! Devil's food Cake probably goes way back and originated from the southern states where it was made ​​from beets and cocoa. 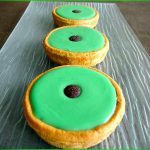 Grease three 8-inch diameter springform pans or circular entremet moulds with a little butter and line the bottom with parchment paper. Dilute coffee in the milk. Take ⅓ cup of brown sugar and mix with the cocoa and the coffee with milk in a saucepan. Heat over low heat for a few minutes. Stir to dissolve the sugar. Turn off the heat, then add the chopped dark chocolate and stir until melted. Let cool. In a mixer bowl, cream the butter with the remaining brown sugar until the mixture is airy. Stir in the egg yolks one at a time, vanilla and chocolate sauce and finally the flour, baking powder, and baking soda. Separately, beat the egg whites until stiff with a pinch of salt and a few drops of lemon juice or white vinegar and very gently incorporate into the chocolate mixture. Divide the quantity equally in the 3 pans and bake at mid-height in the oven for 20 minutes. Check that the cake is fully baked by poking a toothpick in the middle of the cake. It should come out dry. After cooking, let stand cakes out of the oven for 10 minutes before unmolding. Melt the dark chocolate and milk chocolate cut into pieces in a water bath (bain marie). Off the heat, add the heavy cream and let cool at room temperature. Place one of the 3 cakes on a serving platter, and spread a third of the ganache evenly. Add the last cake and finish by spreading the last third of ganache. This cake looks “suspicious” (i guess this is not a real word, but this came straight to my mind! ) I’m definitely making this! thanks for sharing!